We have all said it. I wish my hair was this or I wish my hair was that. We have all looked at someone else's hair and said I wish my hair was like that! It is definitely true that we all want what we do not have. Those with thin hair want it thicker, those with thicker hair want it thinner because we feel it is too much to manage. So the question came up about can we change the texture of our hair. Absolutely, yes we can. and you have probably already done many of them but just did not realize it. You can change the texture of your hair permanently or temporarily. Today we will explore all of these options. 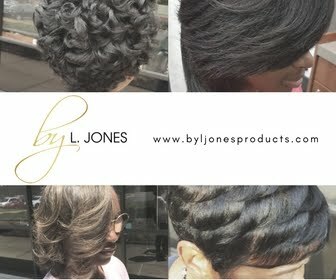 Relaxing- Relaxing your hair is a way to change the texture from curly to straight permanently. Many women, including myself, do this because our natural hair is curly and we prefer it to be straight all of the time. 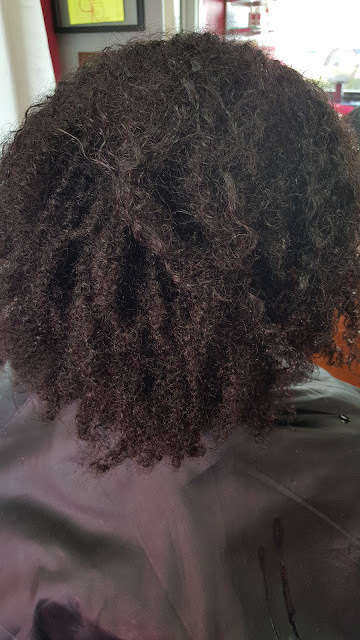 Some women, NOT including myself, get so used to having bone straight hair that at the sign of one curl they are ready to relax again and end up getting damage to their hair as a result. 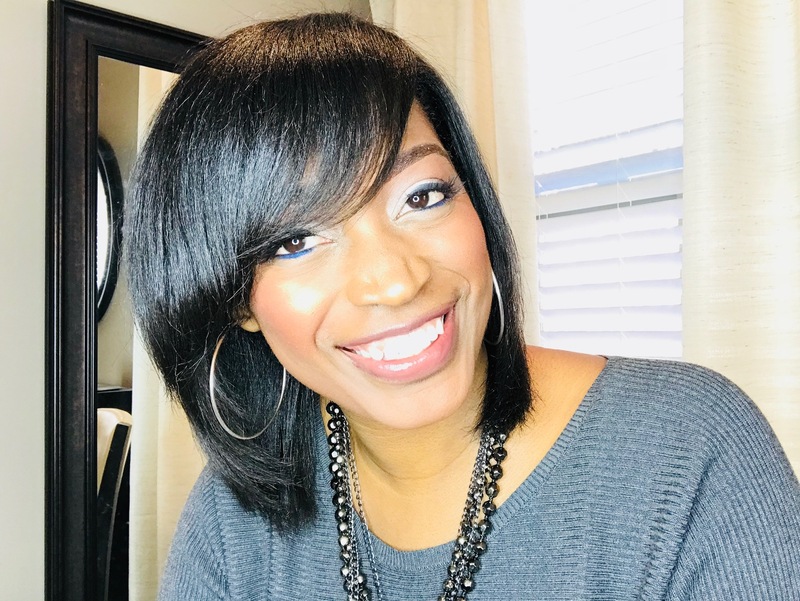 If you choose to relax your hair, I only suggest getting two to three relaxer per YEAR if you want to also keep your hair healthy (see why here). Permanent wave- Permanent wave is what many who are born with straight hair get in order to give their hair some extra body and volume. To many black women, this is known as a "jheri curl", to many white women it is known as a perm. Many white women feel like their hair is just too straight so they get this as an option to add texture to it. Imagine that, many black women think their hair is too curly so we want it straight and many white women think their hair is too straight so they want it curly. Again, it all goes back to wanting what we do not have. Permanent coloring- Permanently coloring your hair can also alter the texture of it. 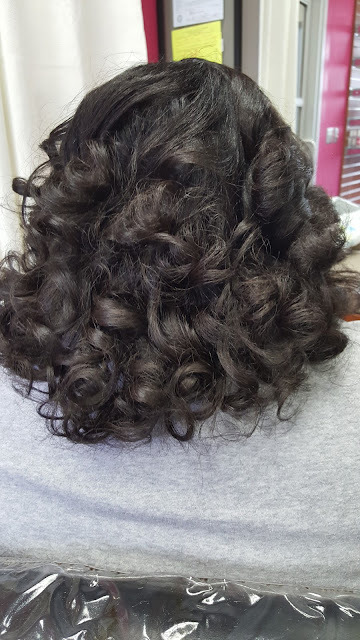 I have heard many women who were natural say that when they got their hair colored, it took some of the curl out of the hair. 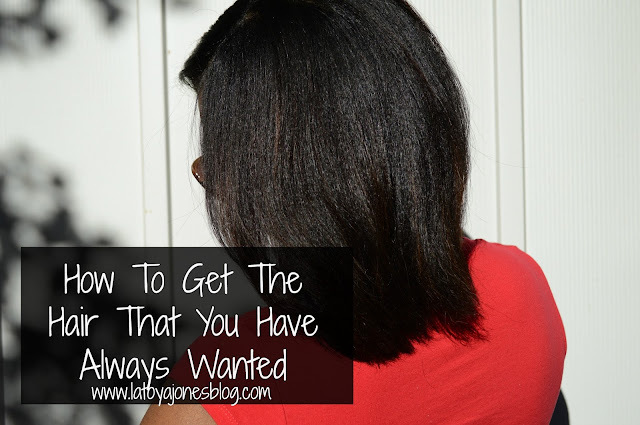 They did not have bone straight hair, but the curl pattern loosened up just a little bit. This is not the case for all, just some. It is something to keep in mind if and when you decide to get permanent color. Wet setting- Wet setting includes setting the hair while wet. Once it is dry, it will take the shape of whatever it was set on until the hair gets wet again. This includes roller sets, rods, flexi rods, twist sets, and bantu knots. Again, this is only temporary because as soon as the hair is shampooed again it will go back to its original texture. These styles can be great for someone who does not want to put much heat on the hair or for someone who wants a style that will last for at least a week or longer. Silk Press or setting with heat- In the same way that you can set your hair while wet, you can also set it with heat while it is dry. 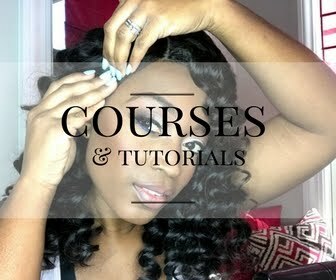 Silk presses and pin curls fall into this category (click here to see exactly what a silk press is). 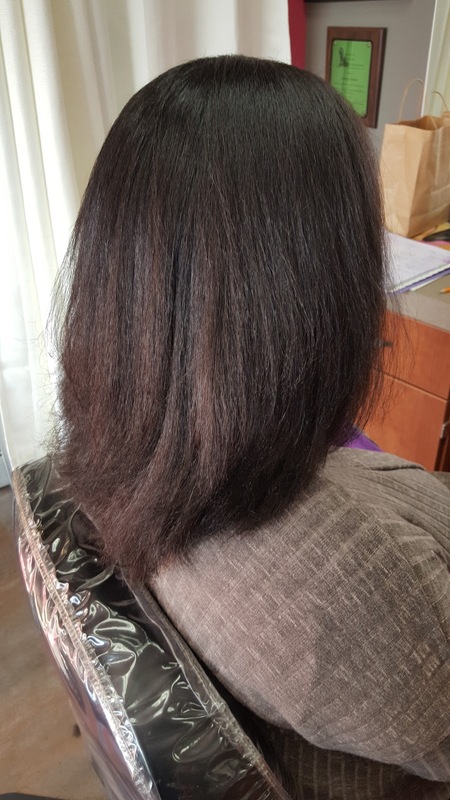 When you silk press natural hair, you are using heat to temporarily alter the texture from curly to straight. You can do the same when you pin curl. 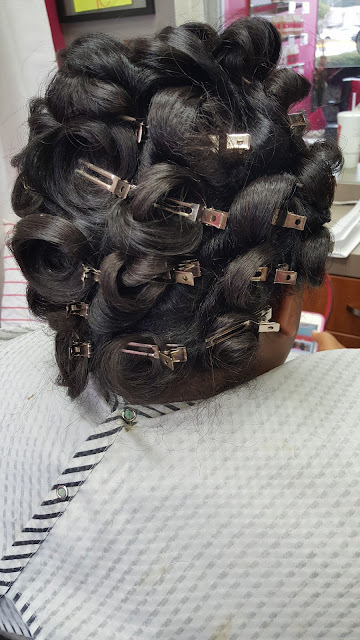 Pin curling involves curling dry hair, then pinning the curl in place. 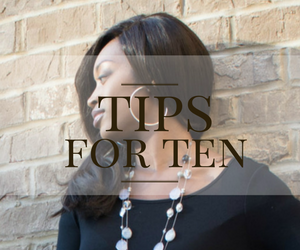 Once the curl cools off, the hair is set and will temporarily remain that way until you change it. Many of my relaxed clients like this look because it gives you the appearance of a roller set without having to sit under the dryer. These are a few ways of changing the texture of your hair. Of course the temporary ways are safer than the permanent methods but with the help of your trusted professional hairstylist even the permanent ways can be safe for you. Remember to never try to do your own chemicals and when using heat use the bare minimum required for your hair in order to avoid damage.